Revival. What subject could be more appropriate for us to explore as we stand on the brink of a new year? We hope each of you will take a moment to dig into this topic together through the pages of Hidden Wisdom, Volume 73. We had a problem, a promise from God, and plenty of earnest prayer. Find out how God answered--and about the miracle He gave in such a way that we were reminded that He is never late, never early, and He delights to give us good things. You'll enjoy getting to know other HW readers a bit better through these four pages of letters and three recent photos. Have you ever met repeated dead-ends in trying to show friendliness to someone? Four readers share insights and Scriptural responses to this difficult situation. To see the question that has been posed for next time, click here. Using a memorable analogy of junk food vs. whole wheat pancakes, Rebecca points out the differences between true revival and the superficial emotional "high" that can also pass for revival. Some thoughts from HW reader Hannah H. are also included here. What is the essence of revival and repentance? How can we avoid getting caught up in an outward lifestyle of obedience that neglects what life is really about: being alive unto God and loving Him? This insightful article will give you much to ponder. Danielle emphasizes the neccesity of revival before one can do great things for God. "He wants all of us--not just part of us." Also included are challenging thoughts by A.J. Gossip and Charles G. Finney. Mrs. Y. points out how a true spiritual revival will impact every area of our life: our sevice to God and others, our endurance and joy, our love and obedience. She includes insights by Andrew Murray and George MacDonald, along with two hymns. 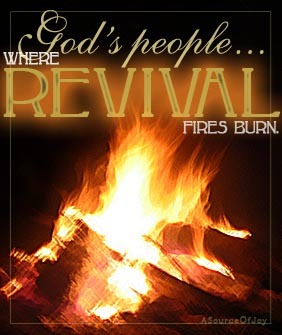 Most of us would agree that we need a personal spiritual revival. But where do we start? Zack suggests that "True revival starts when you ask yourself, 'Why?'" "Revival needs to have a vision," Daniel challenges. "...a vision of seeing the Lord glorified through our lives and in the lives of others." This edition of the Chronicle is packed with a glimpse at our busy fall: including a whirlwind adventure out west, visitors the week of Thanksgiving, and more! Includes 4 recent photos and the popular column of "observations." Long-time HW readers will remember a fictional story by Laura K., printed in Vol. 47-48. This story picks up where "Elyssa's Rainbow" left off, giving a glimpse into the life of a very ordinary girl who is faced with challenges and changes...and frequent reminders of God's faithfulness. Original illustrations by Theresa W. add a special touch to the first installment of this two-part story. Jessica has shared more of her poetry talent with us...this lovely stanza is worth memorizing and framing. In her usual humble, gentle way, Erin shares of a spiritual battle the Lord brought her through this past summer...and how the acceptance of God's love brought victory over fear and worry. Six HW readers share about their favorite books in this issue, ranging from Christian non-fiction to historical and youth fiction. When Naomi injured her knee in a farm accident, she had no concept of the multitude of lessons and blessings God was going to bring into her life through the painful trial. Her testimony is a clear reminder that "all things work together for good..."
Our heavenly Father never runs out of creative ways to bring couples together in marriage! Here, Mrs. C. shares her courtship testimony and reminds us that God's timing is always perfect. Miriam has a lot of truth packed into this little article: it contains the key to winning battles over our adversary, Satan. Very inspiring! What can we learn from the daily phenomenon known as "rush hour"? Emily finds several important analogies. Are you just sliding through life, or are you truly living for God? Chantel challenges us to take a deeper look and ask God to "show us how to live again." Four penpal ads are in this issue, along with a variety of other notices, requests, and items for sale. This issue's Bible reading schedule covers a number of books in the Old and New Testaments. Weekly selections and memory verses correspond with this issue's theme of spiritual revival.